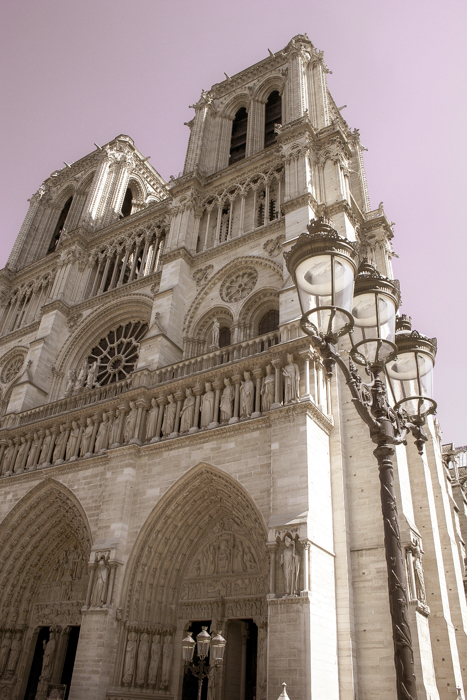 A bit of travel photography, and given the romantic treatment in the editing process – this is of course Notre Dame in Paris. Did you recognise it? You might not have, as this is not one of the usual angles it is photographed from. But then, I think architectural photography should endeavour to do different things: sometimes show the whole building – to the extent that that is possible – and sometimes to pick out details and read the building the way we might experience it, a bit at a time. It is one of the criticisms of photography, that although it appears to see perfectly – ‘the camera never lies’ and all that – it sees all things equally, when we scan, get drawn to things that interest us and ignore things that don't. I like to think that although sometimes photography is a job and needs to do what the client requires, it is also an art form and as such is available for experimentation. And sometimes it might be OK that the picture is interesting even if it shows things in an eccentric way.